Open a board in Trello. Click "Show Menu"in the upper right corner. Search for Hello Epics and click the "Add" button. 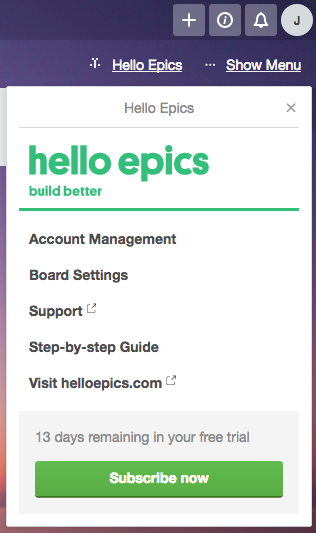 Click the "Get started with Hello Epics" link in the upper right, next to Trello's "Show Menu" link. 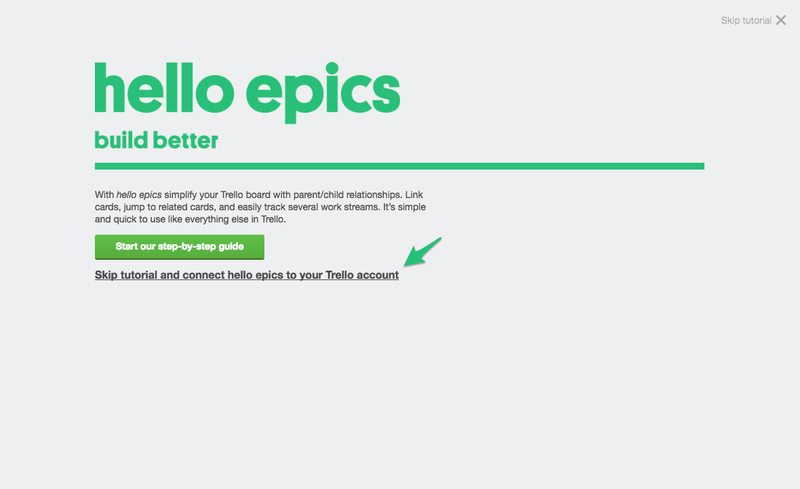 In the modal pop-up that opens, click the "Skip tutorial and connect Hello Epics to your Trello account" link. Don't worry; you can come back to this product tour at any time. 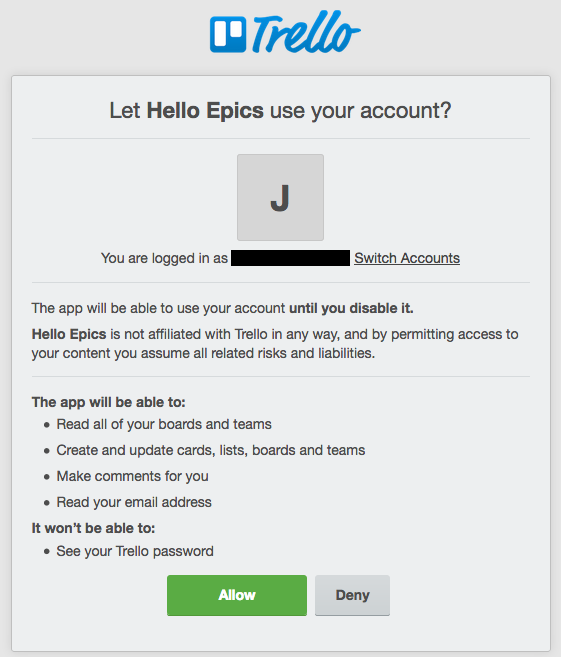 Click "Allow Access" to connect Hello Epics to Trello. We also suggest opting in to our newsletter to stay up-to-date on the latest and greatest about Hello Epics! 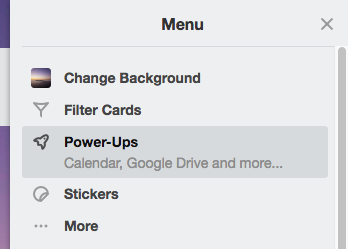 Click the "Allow" button on the permissions pop-up from Trello. 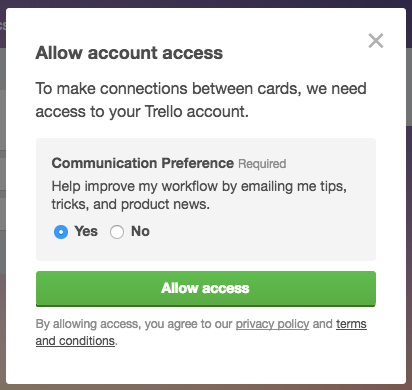 After you've authorized with Trello, another modal will open to allow you to start a trial. 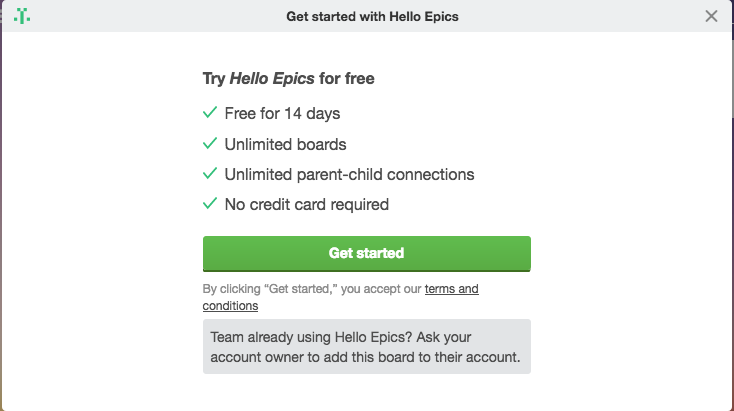 …perhaps you'd like to see a list of things you can do with Hello Epics? Or dive right into adding children and setting parents?